Hello and welcome to design:quilt:art. I hope you will enjoy watching my progress with all of my quilting projects. 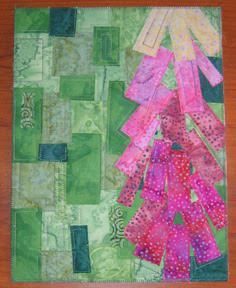 Below is one of my first art quilts. It was a quilt contest from Quilting Arts Magazine (one of my favorites). Unfortunately it was not accepted for the magazine but our guild included it in the silent auction in our March Quilt Show. Here is the image from nature I was working from. 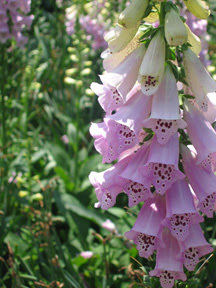 Beautiful foxglove blooms. Here you see the final piece. Well gosh, I think it should have been accepted….it’s fabulous!